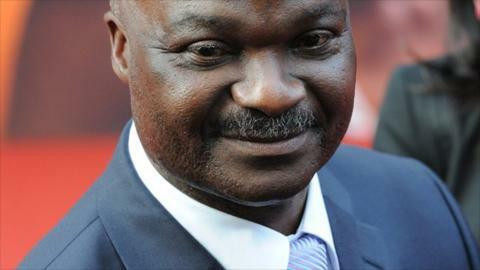 Cameroon legend Roger Milla has called for calm after reports of midfielder Alex Song being abused by angry fans in the country. Details of the incident, which followed Cameroon's defeat by Libya in 2014 World Cup qualifying, are unclear. Milla referred to the incident when speaking on national radio. 16 June - second leg 2013 Nations Cup match against Guinea-Bissau. Cameroon lead the tie 1-0. He called for supporters to rally behind the team ahead of their 2013 Africa Cup of Nations qualifier against Guinea Bissau this weekend. Cameroon have a 1-0 lead in that tie from the first leg in February. Football in the country has been in the doldrums for some time, and Milla was stripped of his post as the honorary head of the Cameroon Football Federation because of his vocal criticism of the people running the game there. Even after a home victory over DR Congo in a 2014 World Cup qualifier this month, fans demonstrated their anger by throwing stones at the Indomitable Lions' bus - claiming the win had been down to luck. Players have recently avoided using the national team bus when travelling in the country so as to remain inconspicuous. Initial reports said that Song had been attacked by fans in the incident, which happened in the Kennedy Avenue area of Yaounde, but the player himself said he had only been surrounded and shouted at.